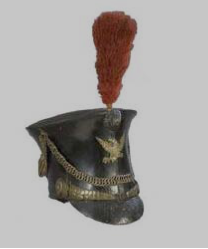 Even L'Aigle has "Old" Tricorne and the L'Aigle is in the 1809 years almost right next to the WAr of 1812 so I guess one tricorne wouldn't hurt for the frontiersman. Just to add my perspective into the tricorn and win music suggestions. Hail Columbia was not the US national anthem as the US did not have an official national anthem until 1937. Hail Columbia was considered an unofficial national anthem along with other songs. We could use any song from the period for win music like Yankee Doodle if we want. Also, I think the rarity of the tricorn during the period of our mod doesn't warrant it's inclusion. If we make it a variant headdress it is likely to show up as often as the round hat or slouch hat which would be inaccurate. Well that is true if many people would use just only that it would be lots of then would be inaccurate historically, but I just highly doubt everyone would go frontiersman and then go with the tricorne the hole US faction. It would be good if we could change like which hat do we want to wear, and then everyone would choose one and it would be like unique and custom as well. Regarding the music area I guess the current Star Spangled Banner version is real nice for victory song since this was made in the war of 1812, ( i know it wasn't the national anthem till 1934) but it is nice for victory song. The intro Star Spangled Banner could go in the in-game music as well and replace the NW music with that along with other periodical songs. Hail Columbia is a crappy song and we already have 3 variant hats for the frontier militia. No tricorns are needed. It seems there is an opinion gridlock here. Currently "The Star-Spangled Banner" will stay as the default U.S. faction win music. If you want a different win1 sound, open your mod folder and open the Sounds folder. Rename as desired and vice versa to revert. As for the hat choosing, that is not possible. The troop inventory is preset and is not selectable menu like the colours are and would be too much hassle for little gain. I can instead make it more or less likely to have different hats appear. That is good, would be available like 4 hats for frontiersman, and you wouldn't be able to choose it only randomly so it wouldn't be massive spam of that particular hat, instead it would be random. That "crappy song" was written before the Star Spangled Banner and would have actually been used at the time the mod takes place in. Also, the more hats the better to add more variety and a more "militia" feel to the militia themselves. I understand the hats part but I'm not really following why Hail Colombia wouldnt be added to replaced the SSB. O' the irony. I like the song Hail Columbia well enough but after listening to it over and over again I cannot get the lyrics out of my head right now. /Modding. One thing I noticed on the map Border Skirmish was that an invisible wall blocks about half of the bridge on team 1's spawn. I would suggest moving the bridge out a little more to prevent congestion at the start of rounds that could potentially have many people on that team. i drew an approximation of where the invisible wall was for reference. Thanks! Edit: it seems to have fixed itself after the round ended? Edit 2: When i ran into the invisible wall (normal one on the mpa edge) the original one from the picture returned. Slightly confusing. 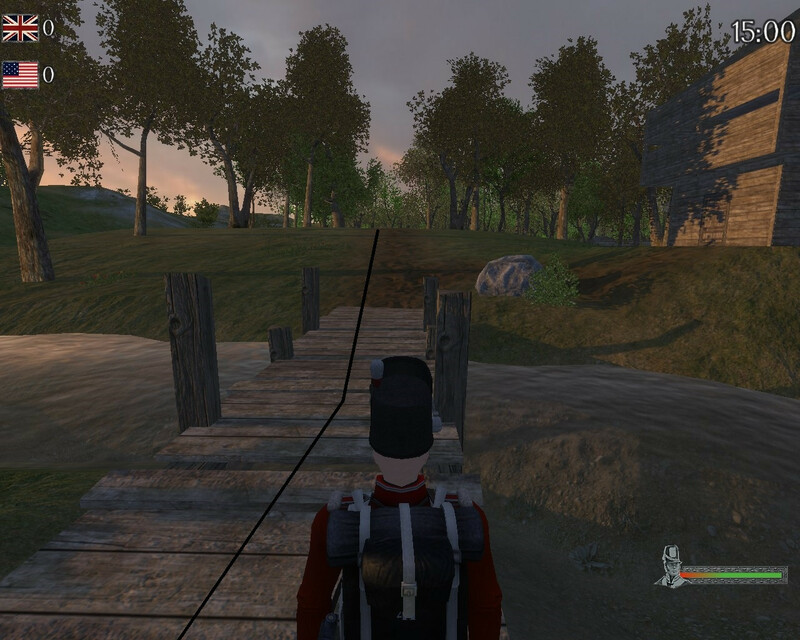 Edit 3: Tried it at the same location on horse and about 5 seconds after spawn it appeared and pushed me off the bridge. Ever though about these units for maybe a sub-mod people can use? 8th King's Regiment of Foot. 49th Regiment of Foot. 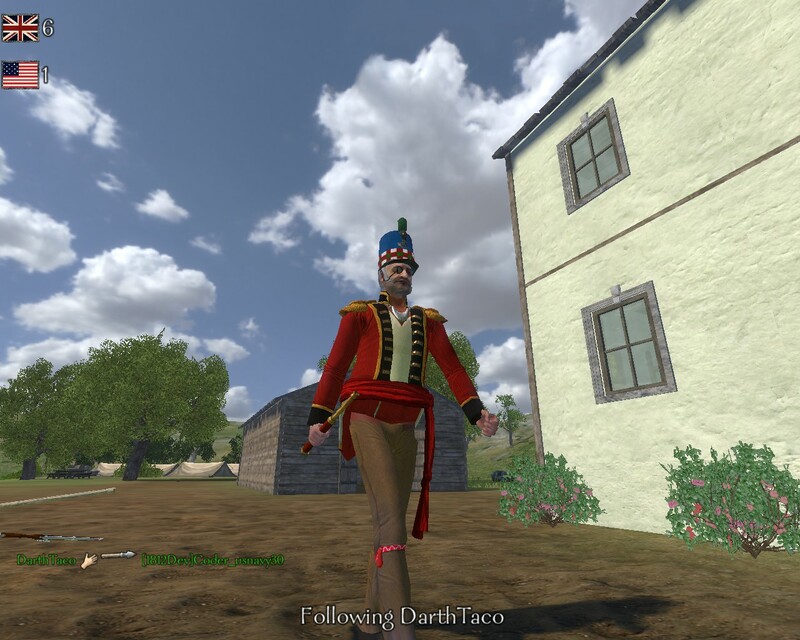 A re-skin adding both the 8th and 49th Foot is now available in the War of 1812 mini-mod thread. Has been approved for looking into. His class is tecumseh (?) and he is missing part of his waist. Also it wasnt just the position he was in, as it happened when running/walking/aiming etc.